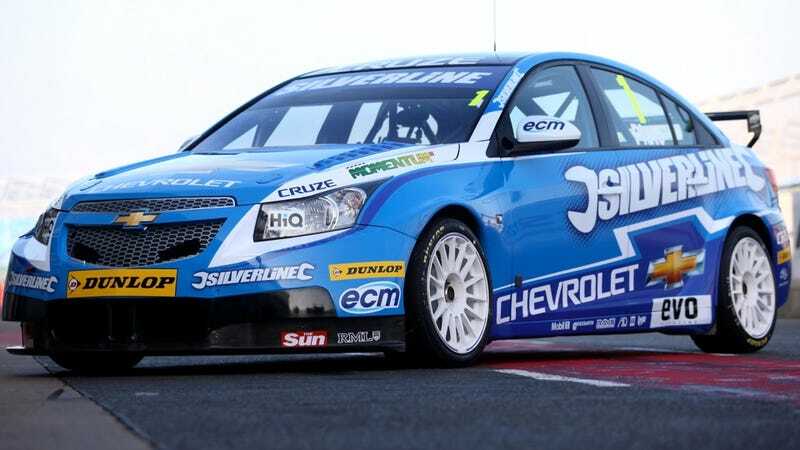 GM's pulled the wraps off the Silverline Chevrolet team's new 2011 Cruze racers for the Dunlop MSA British Touring Car Championship (BTCC). The two racers enter the 2011 season get some new livery to match the WTCC cars. For the 2011 series — and its new technical rules and requirement for adoption of 1.6-liter turbo gas engines — Chevrolet had to design and build a new powertrain for its cars. As you'd expect from a new powertrain, Chevy had to tweak everything from the cooling system, brakes and suspension to the car's weight distribution. The result is a Chevy Cruze, that like its brother in the WTCC, is the one Cruze we truly want.